Jeff Harris is Florida Bar Board Certified as a Criminal Trial Attorney; former prosecutor (Chief of the Career Criminal Unit); former Adjunct Professor at Nova Southeastern Broad Sheppard College of Law; Instructor at the Prosecutors/Public Defenders Trial Advocacy Program at the University of Florida College of Law; Instructor at the NITA Program at Nova Southeastern Broad Sheppard College of Law teaching litigation skills to prosecutors, public defenders and civil practitioners. Jeff is AV Rated by Martindale-Hubbell, receives AVVO’s highest rating (10.0), selected by the Florida’s Super Lawyers Magazine and also selected by The National Trial Lawyers Top 100 Trial Lawyers. 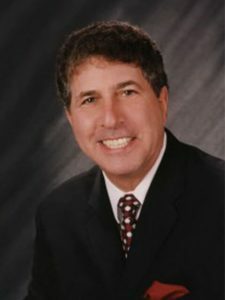 He is past president of the Florida Association of Criminal Defense Lawyers, past president of the Broward Association of Criminal Defense Lawyers and elected to the Board of Directors of the Broward County Bar Association. His peers have honored him with an award for professionalism, integrity, and excellence in the field of criminal law by presenting to him the prestigious “Harry Gulkin Award”. He has been married to his wife Fitz since 1975 and has three children.